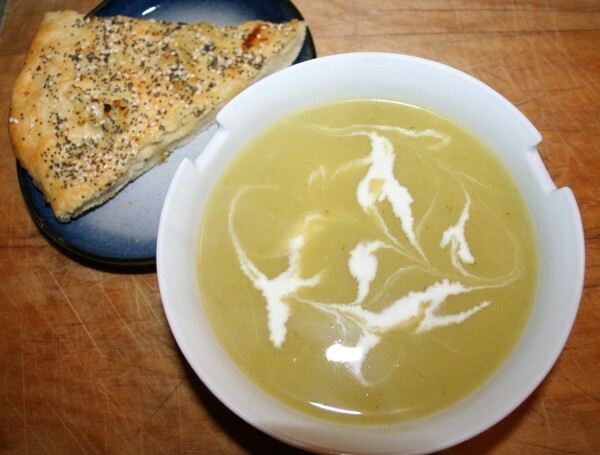 I tried out this recipe to accompany the Leek and Potato Soup I made the other night. It's pretty simple to make, it cooks quickly, and is pretty tasty. 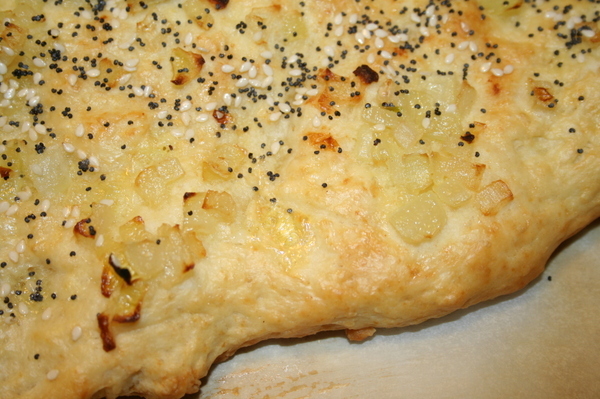 It's more like a biscuit than a bread in texture, and I think an improvement to the overall flavor would be to mix some of the the minced, sauteed onion into the dough in addition to scattering it on top. That's just my opinion. Okay, here's what you'll need to do. 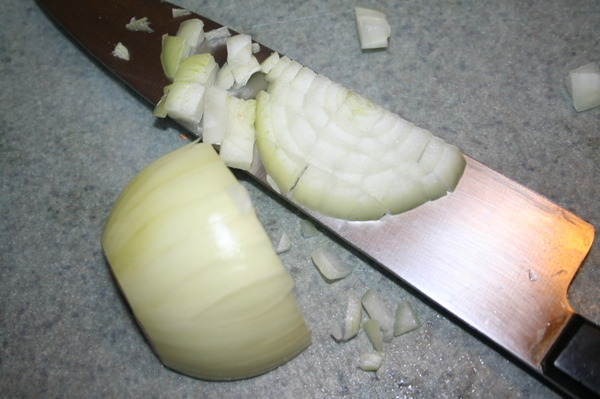 Mince 1/4 cup of onion. Saute onion in 2 tablesoons of butter until golden. Set aside. 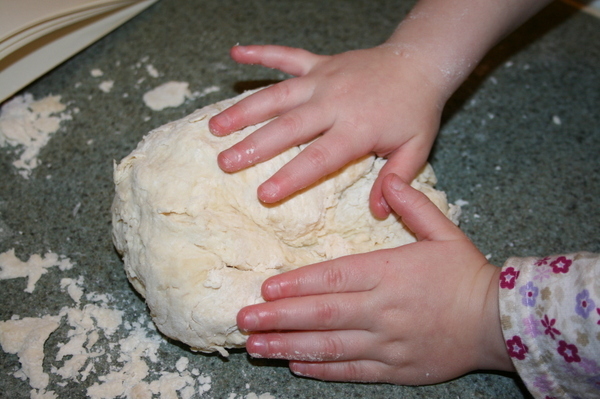 1 1/3 cups unbleached flour, 1/4 tsp salt, and 2 tsp baking powder. 1/4 cup plus 2 tablespoons water and 2 1/2 T vegetable oil. 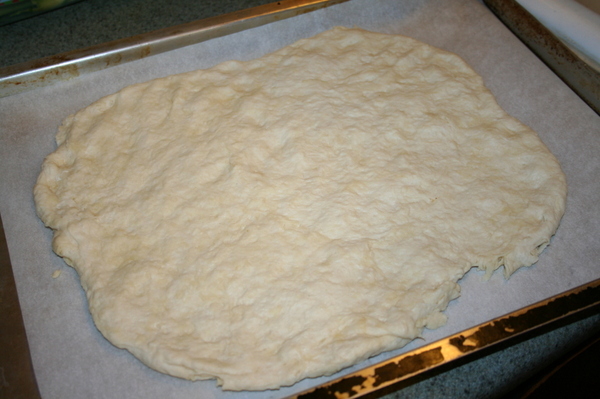 then pat it out to about a half inch thick on a greased pizza pan or a parchment lined baking sheet. 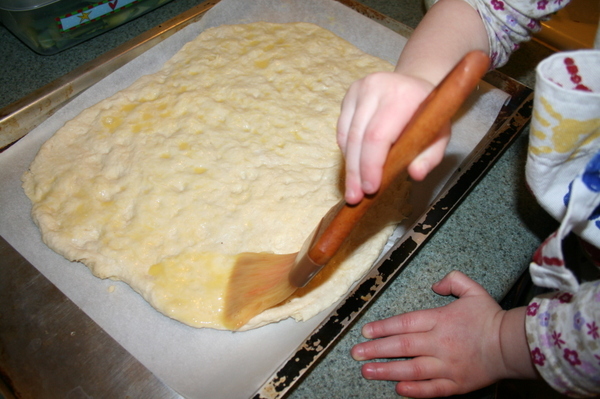 Beat an egg with a tablespoon of water and brush the surface of the bread with it. 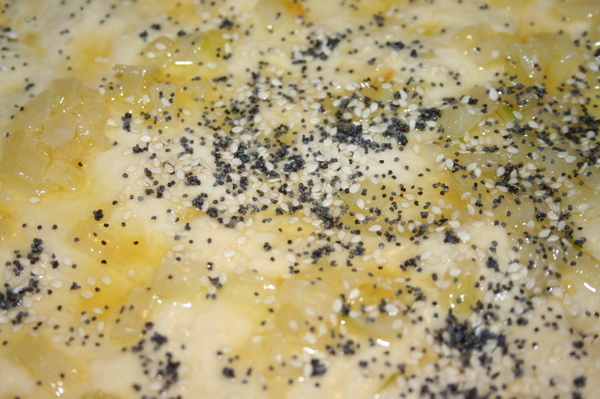 Distribute the onions over the bread and then sprinkle with a teaspoon each of poppy seeds and sesame seeds. 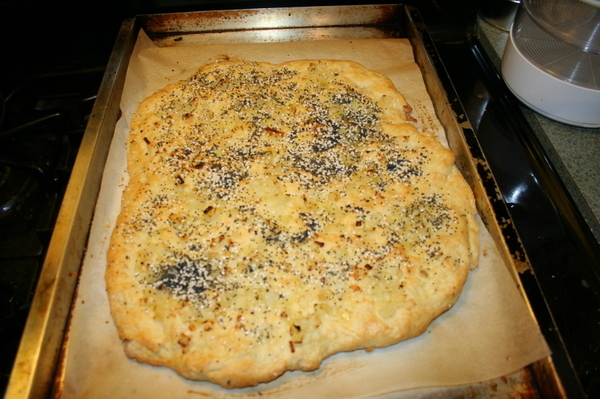 Bake for 8-10 minutes, or until the crust is golden brown. Serve right from the oven. Perhaps accompanied by a bowl of Leek and Potato Soup. Just a thought.